Laws regarding accidents tend to vary with each state. However, when it comes to wrongful death, Spokane residents should know that Washington takes this matter as seriously as any other state in the country. This includes specific laws intended to place responsibility where it belongs when wrongful death occurs. Although these laws won’t return your loved one, wrongful death lawsuits can help to make sure it doesn’t happen to someone else. The process isn’t always an easy one because you may be exposed to details that revive the pain of losing a loved one, but a Spokane wrongful death attorney who has experience in such matters can help you navigate the process in the best way possible. Speak to an experienced personal injury lawyer about your case by calling 1-800-404-9000 or by sending us a message online. The Washington State Legislature defines wrongful death as “…the death of a person caused by the wrongful act, neglect, or default of another…” which means that the death does not have to have been intentional, but instead the result of something someone else did or didn’t do. There are a wide range of possibilities when it comes to situations when this might occur. For example, if a physician prescribes a medication that can lead to death when mixed with medication the patient is documented to have been taking at the time, this could be considered wrongful death. What Is Involved in Fatal Accident Suits? There are several steps to a wrongful death suit, all of which would be extremely difficult for the average citizen to complete on his or her own, which is why talking to a wrongful death attorney in Spokane makes sense. To begin with, the individual who brings the case forward must be the personal representative of the deceased. Then, someone has to prove beyond a shadow of a doubt that it was a wrongful death, which isn’t always the case when someone dies. For example, if the individual was in his or her right mind and agreed to submit to a risky surgery and everything about the surgery was done correctly, but the individual died, this would not be considered wrongful death. Instead, it might be considered death by complications arising from surgery or something similar. What is determined as wrongful death might vary, making these types of cases even more complicated than other personal injury cases. Once wrongful death has been established, there has to be a goal for the case. Many people wonder how much they might receive in compensation, but this isn’t an easy number to establish. Aside from the obvious emotional trauma of losing someone dear to you (which may have to hold its own number), the court will consider circumstances such as what was lost when the person died. It may be that they were the primary provider in the home, and now the family must adjust to the absence of the person as well as the financial loss. There is no set value for this as every case is different and unique in its own way. A wrongful death lawyer in Spokane will help you with this process from the beginning to the end. Though it may be a difficult process, turning to a Spokane fatal accident lawyer who has experience with these types of cases can make it a bit easier for you. Wrongful death cases are often complicated and involve many different professionals whose job it is to defend their clients. In addition to dealing with the loss of your loved one, you also must face an overwhelming and stressful situation that is difficult and nearly impossible to handle alone. 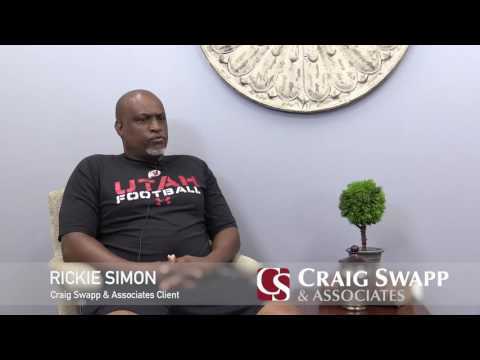 A Spokane wrongful death attorney at Craig Swapp & Associates can navigate the process on your behalf and make sure you and your family members’ best interests are represented. Keep in mind that this may not be about your loss alone. Holding people, companies, and product manufacturers accountable for wrongful death incidents in Spokane can go a long way toward preventing similar situations in the future. It doesn’t make losing a loved one easier, but it can be a comforting thought as you manage your feelings about the situation overall. If you have lost a loved one due to wrongful death you don’t have to go through it alone. A Spokane wrongful death attorney at Craig Swapp & Associates can help. Contact our office online or call 1-800-404-9000 for a free consultation.